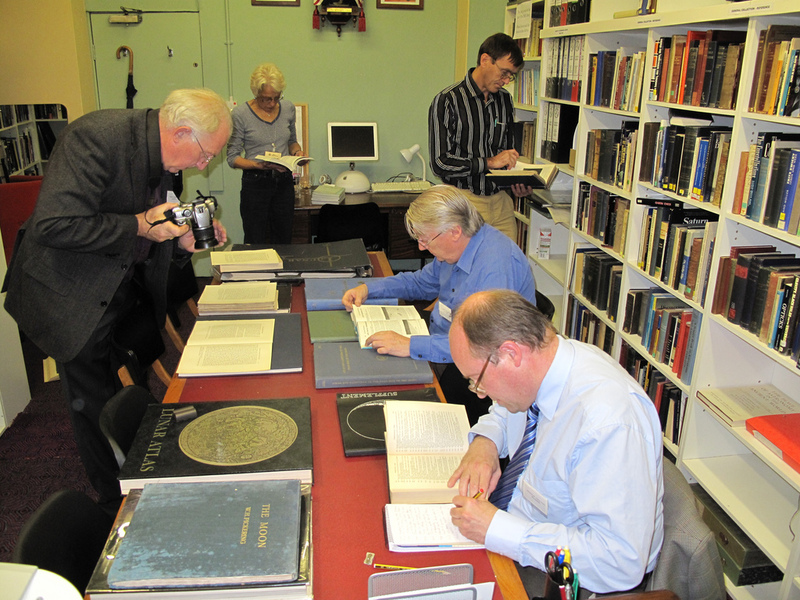 We would like to advise SHA members and others that, following the passing of our Chairman and Head Librarian Madeline Cox, FRAS (pictured at rear, above), in January, the Council of the SHA has appointed an Acting Librarian, Stuart Williams, to manage the SHA’s Sir Robert Ball Library at the Birmingham and Midland Institute. Stuart was the founding Secretary of the SHA and later its Research Librarian (amongst other things). He has almost thirty years experience working in a borough archives and local studies library. His first task is to undertake a Review of the Library Service, during which the lending service will be suspended. This entry was posted in Announcements, Library, SHA Council on March 12, 2015 by societyforthehistoryofastronomy.